In today’s media landscape, the Super Bowl is the only annual event where an extensive amount of the U.S. population comes together to watch the same program. People come together to watch the National Football League’s two remaining teams battle on the gridiron and some of the most entertaining advertisements of the year. Because of this, Super Bowl ad spots are like gold to broadcasters. In 2019, the average cost of a Super Bowl ad on CBS was $5.25 million for a 30-second spot, according to CNBC. With this being said, do Super Bowl ads have the same influence on the population as they used to? With a more politically conscious culture in the U.S., advertisers have changed the way they deliver messages to consumers. Dorothy DeCarlo, former director of marketing for ESPN and adjunct professor in DePaul’s College of Communication, said advertisers have transformed the way they create ads for the Super Bowl. In a way, advertisers have to play it safe when it comes to the brands they are representing. The prevalence of social media in society functions as an easy way for people to interact with ads. If an ad offends a person, social media platforms allow consumers to voice their opinions on what they believe is wrong. In an article published on the Driehaus College of Business and Kellstadt Graduate School of Business news page, James Mourey, an assistant professor of marketing at DePaul, said the money spent on Super Bowl ads is worth it depending on usefulness, but it can also be self — destructive. “Companies would be wiser to pay attention to, first, how their ad may be received and discussed on social media and, second, whether their strategy includes a deliberate social media component integrated into the campaign,” said Mourey. Advertisers do not have to necessarily change a brand’s image, but their approach must be more self-aware than before. Kris Kaizer, an account manager at advertising agency Channel Factory, said Super Bowl ads are made to entertain, but now they must be more tasteful. One Super Bowl ad that conveyed a message for a movement was by The Washington Post. The Washington Post’s ad sent a message to the public that journalists are an integral group in society. The ad highlights how reporting empowers the public and how knowing information keeps Americans free. Another ad that addressed a real social problem was the Microsoft Xbox spot. Their ad in the Super Bowl didn’t tackle a social justice issue, but it focused on a new product, the adaptive controller. 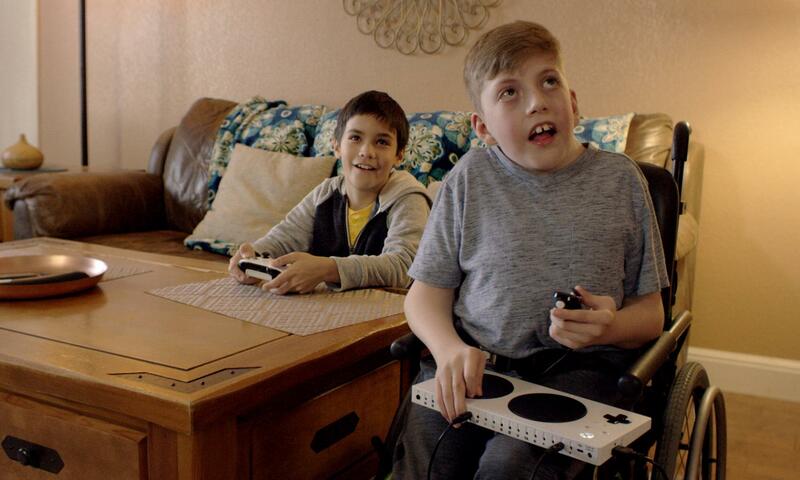 The adaptive controller allows differently abled people, who may not be able to use the original controller, to interact with their friends through video games. The message behind the ad stated that with the controller everyone can play. Still, entertainment is vital to the success of Super Bowl ads. After all, the game serves as entertainment alone. Thomas Flynn, a public relations and advertising major at DePaul, said he has noticed the difference in entertainment over the past few years. On a stage as large as the Super Bowl, ads display how marketing efforts are changing in society. No longer are brands simply trying to sell you a product, but they are selling you on what they stand for. Consumers are altering the way decisions are made to purchase products. Consumers believe that brands should do more than just offer services or an assortment of products. People respond better to companies who hold themselves accountable with corporate responsibility.